If you are looking for an affordable but incredibly exciting walk through history, I have just the drivable trip for you. Head to the Yorktown’s American Revolution Museum and Jamestown Settlement in America’s Historic Triangle in Williamsburg, Virginia. Both of these destinations will make bring American history to life in a modern, engaging way for your family. 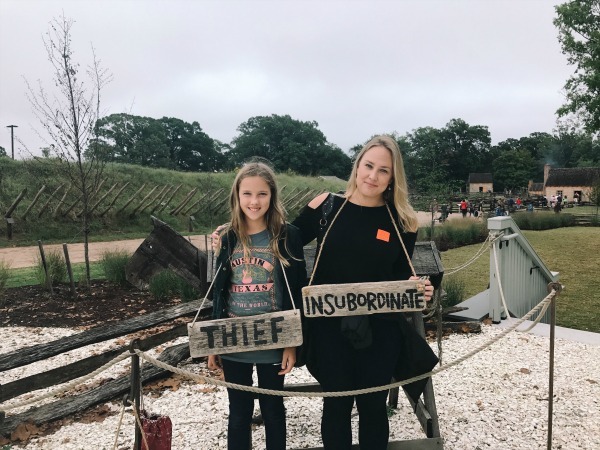 The Jamestown-Yorktown Foundation recently invited my family and I to take in the Jamestown Settlement and American Revolution Museum at Yorktown and we were blown away by a weekend of excitement and learning – two concepts that together are the Holy Grail of parenting! 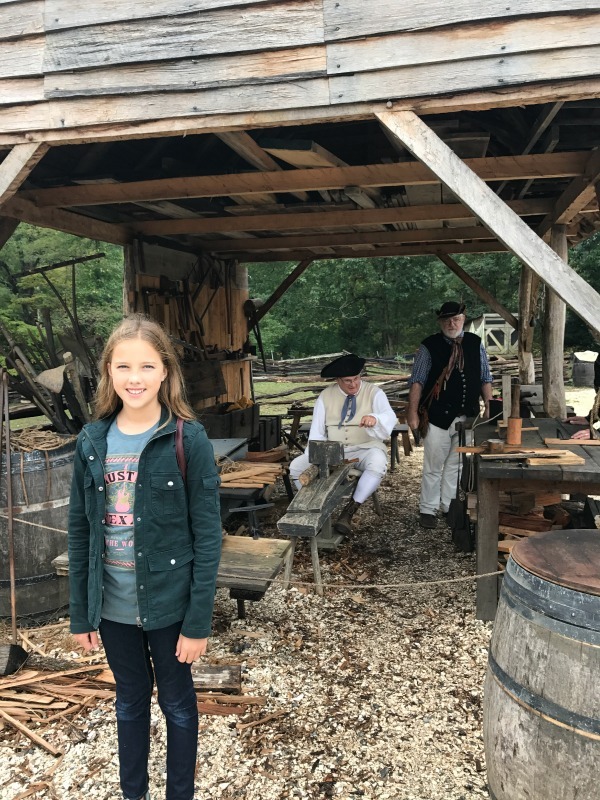 I heartily recommend the purchase of the Jamestown and Yorktown Four Site Value Ticket for the perfect two-day experience of these incredible areas. 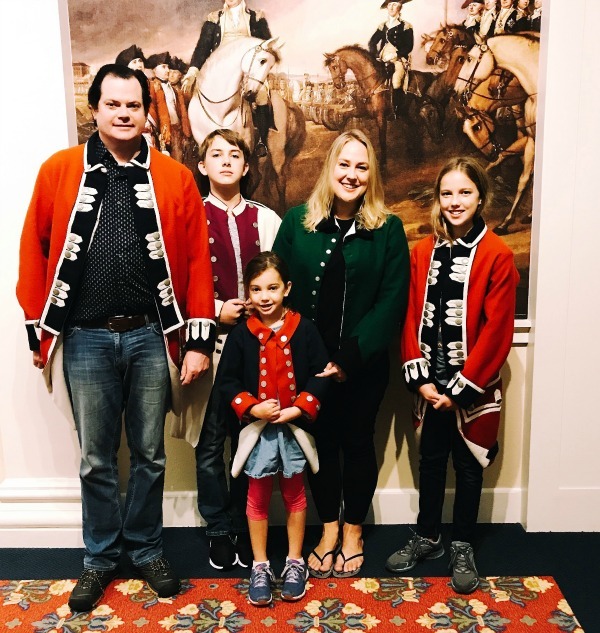 With this ticket you gain access to two premier living-history museums – Jamestown Settlement and the American Revolution Museum at Yorktown – and two National Park sites – Historic Jamestowne and Yorktown Battlefield. We spent Saturday exploring both Yorktown sites, and then Sunday focused on the Jamestown destinations. Our itinerary was enjoyable for all five members of our family, from the first grader, to the middle schoolers and up through the forty-something parents. 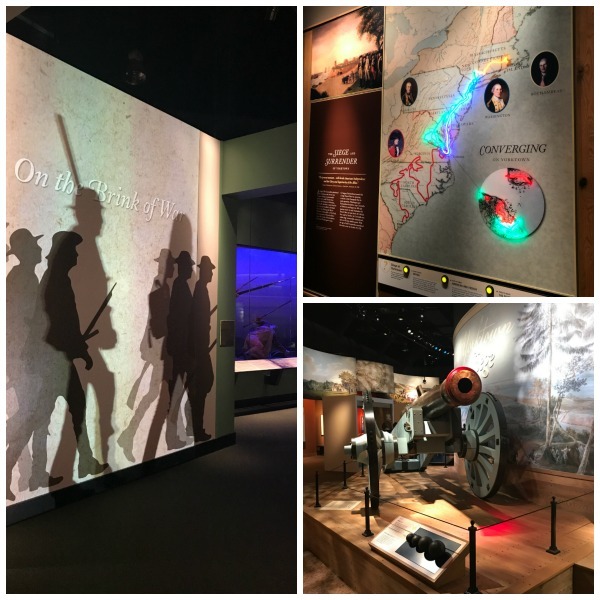 Newly opened this spring, the American Revolution Museum at Yorktown is the result of the museum’s 10 year transformation from its previous incarnation, the Yorktown Victory Center. I remember the older version and was blown away by the new. The museum now presents a state of the art gallery with interactive displays, a “4D” experiential theater, expansive artifacts, films and living history areas. 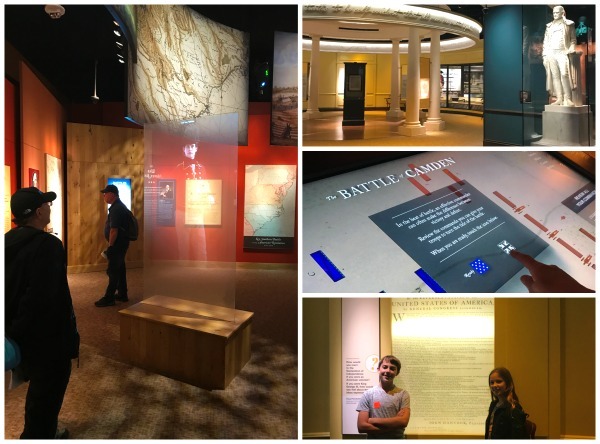 The American Revolution Museum at Yorktown covers the story of the nation’s founding, from the beginning of the colonial period to the dawn of the Constitution and beyond. Of course, special note is given to the Battle of Yorktown, where in the fall of 1781 General George Washington, with allied American and French forces, besieged General Charles Lord Cornwallis’s British army. In an unprecedented move, Cornwallis surrendered, effectively ending the war and ensuring independence. The experiential, 180-degree theatre showed the “4D” film, The Siege of Yorktown, which transported us to the battlefield of the 1781 victory. The massive, curved screen and dramatic special effects truly brought this historic battle to life for the family. I do not want to spoil some of the effects that surprised us, so take my word for it and do not skip the film! Outside the impressive new galleries are the living history areas which are packed with “back in time” adventure for kids. In the Continental Army Encampment visitors can explore soldiers’ tents, try on military coats, and join in periodic wooden-musket drills. 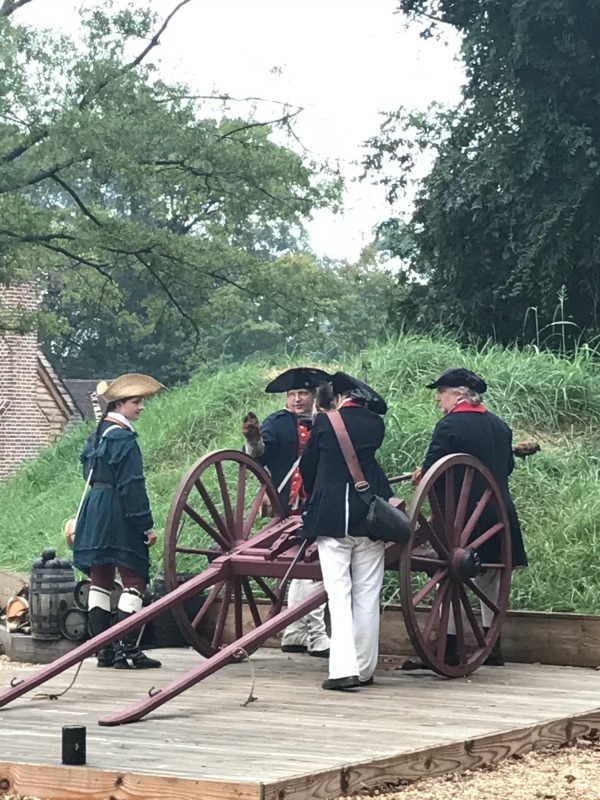 Spring through fall, visitors also may be recruited to join an artillery crew to learn the steps to prepare a battalion gun or mortar for firing. Historical interpreters present daily flintlock musket demonstrations in the encampment. The encampment represents a portion of an American regiment and includes soldiers’ tents and quarters for officers, a surgeon and the quartermaster, an earthen “kitchen,” and an area where the women who followed the army – usually family or spouses of the soldiers – performed the needed domestic duties for wages. The onsite Revolution Era Farm, with colonial history interpreters, offers a unique opportunity to witness a typical rural lifestyle at the time of the Revolution. The setting includes a dwelling, separate kitchen and tobacco barn. 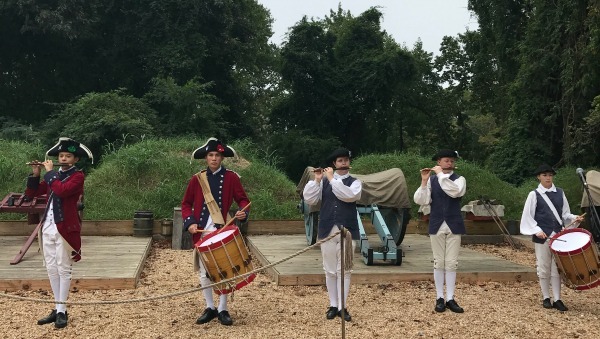 We visited on the 236th anniversary of this decisive Revolutionary War victory, and there were artillery demonstrations, Yorktown re-enactors and the Fifes and Drums of York Town performed. 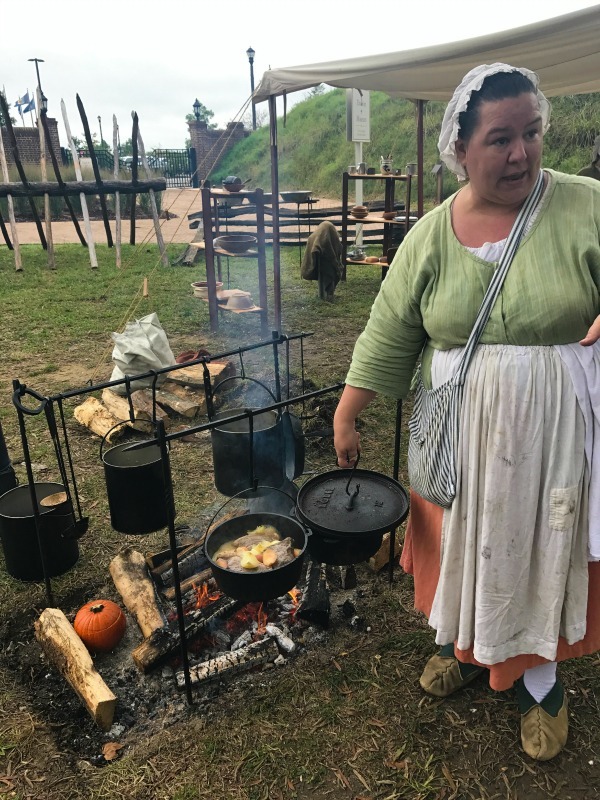 Such celebrations and special programs are a frequent occurrence and you can see upcoming events on the Jamestown-Yorktown Foundation events page. Our tickets included entrance to the Yorktown Battlefield, a National Park located just a short drive from the American Revolution Museum. It was fascinating to walk this battlefield that has been remastered to reflect its state during this last major battle of the Revolutionary War. 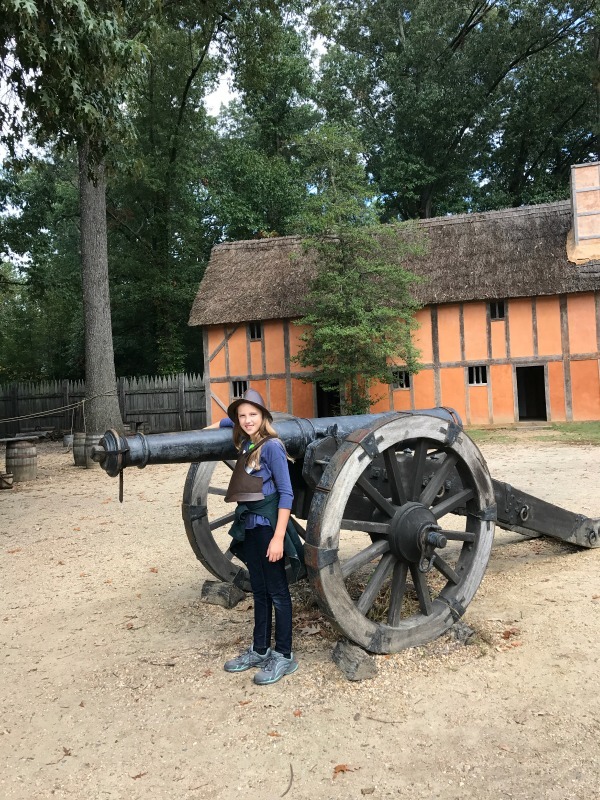 The Jamestown Settlement museum focuses upon 17th century Virginia history, from the time of the first settlers until this early capital of Virginia was moved to Williamsburg. This interactive gallery is instructional and provided a realistic, non-glorifying perspective of this period. 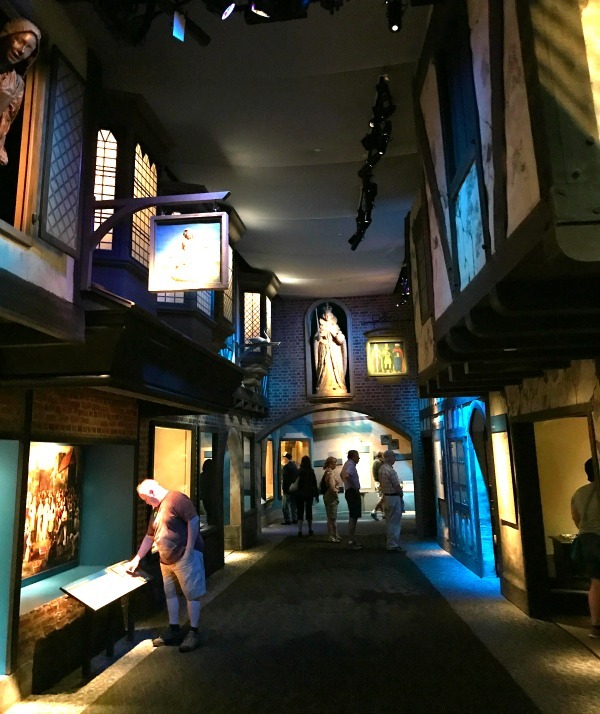 There are various rooms, all grouped by time period, showcasing the changes in this area of Virginia as English settlement increased, beginning with its Old World European origins throughout the first century of English colonialists. 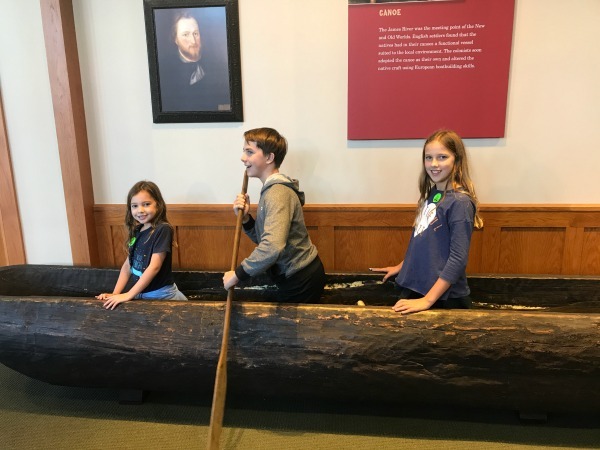 The museum explores not only the English settlers’ lives, but those of the Powhatan Native Americans and the West and Central African slaves brought to this land against their will. 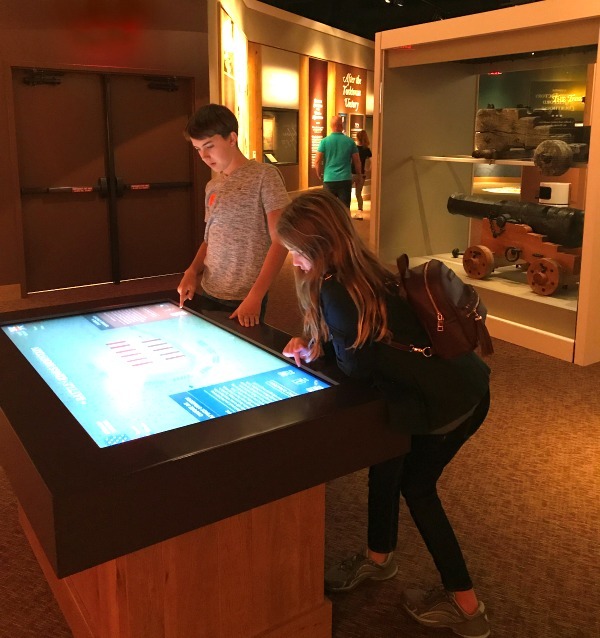 There is a touch-screen feature that allows you to compare and contrast each culture living in Jamestown during the 1600’s. It was essential to me as a mother that these historic facts were presented, as I remember in my own upbringing and history lessons those multicultural perspectives were often left out and glossed over. 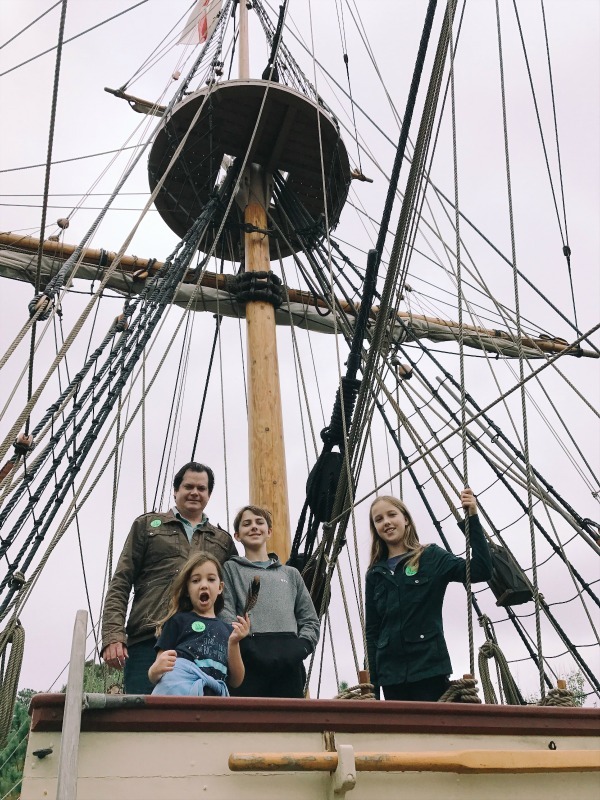 My family and I enjoy boarding the three moored Jamestown Settlement Ships, the Susan Constant, Godspeed and Discovery. These ships are sea-worthy re-creations of the three ships that brought America’s first permanent English colonists to Virginia in 1607. 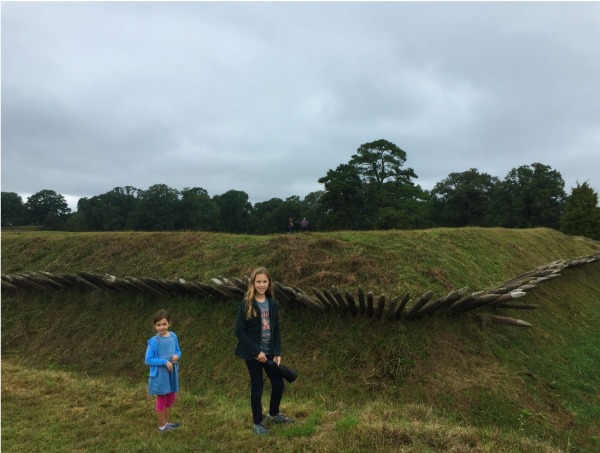 The kids especially loved running around James Fort, the recreation of the 1610-era Virginia Company of London military outpost. Inside the fort are buildings to explore, such as dwellings, an Anglican church, a court of guard, a storehouse, a cape merchant’s office and a governor’s house. Historical interpreters were posted throughout the exhibits providing interactive learning and experiences. 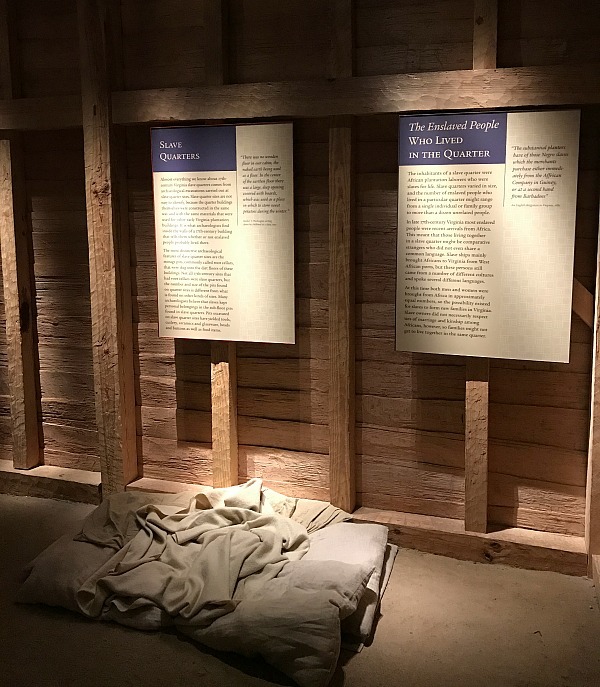 The re-created Powhatan Indian Village is based on archaeological findings at a site once inhabited by Paspahegh Indians, the Powhatan tribal group closest to Jamestown, and descriptions recorded by English colonists. 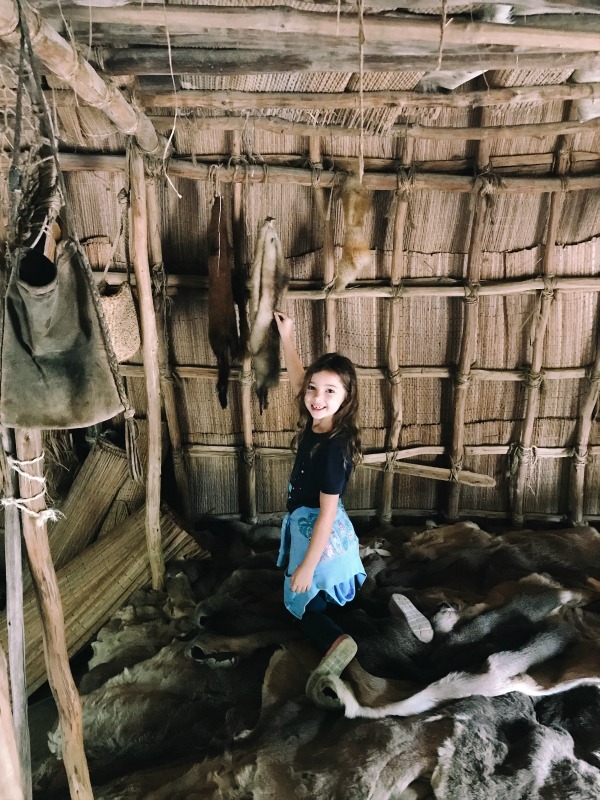 It was intriguing and so fun to explore the Native American homes. Our tickets included entrance to Historic Jamestowne National Park, the actual site of the settlement. 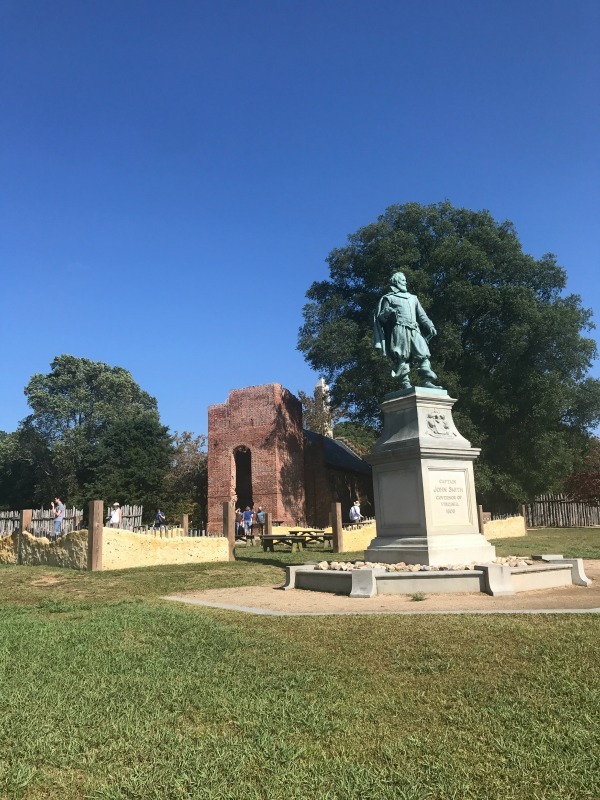 While there we Park Ranger guided tour, taking in the outdoor archaeology and structures and retracing the steps of Captain John Smith, Pocahontas, the settlers and first slaves. My advice? Open your calendar now and find a free weekend to spend in Jamestown and Yorktown! Want to get into the Yorktown and Jamestown spirit right now? Take the How Revolutionary Are You? quiz at HistoryIsFun.org! 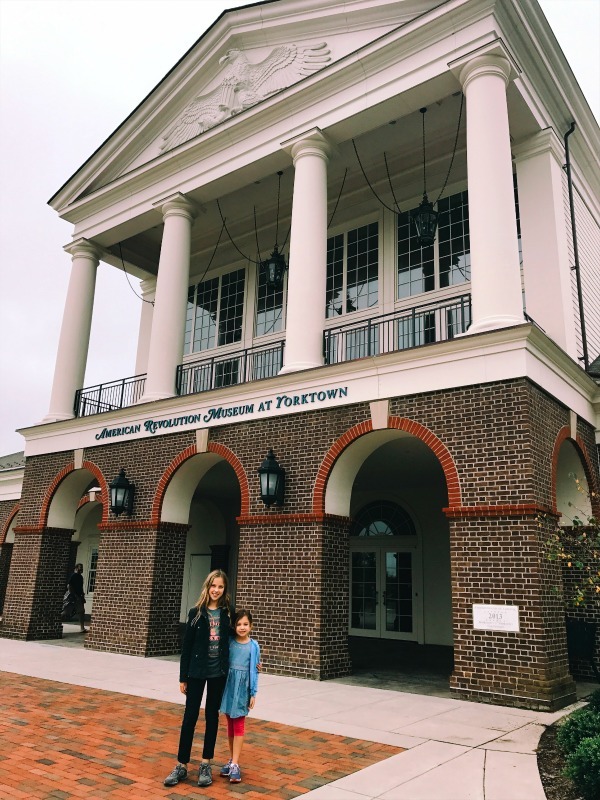 Thank you to the Jamestown-Yorktown Foundation for inviting my family and I to visit for a weekend and hosting our stay, tickets and lunches. No monetary compensation received. All opinions are mine.